There’s some lovely take-a-second-glance outdoor work around at the moment. Next Post Does schooling interfere with education? 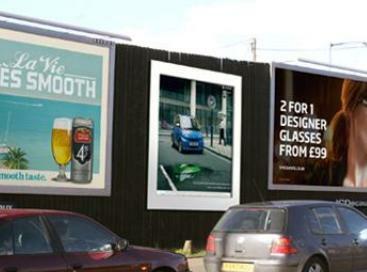 I really like the Smart ad but it took me ages to be able to see it as the detail is quite small. Not overly keen on the Sky ad but I love the idea of Supertelly. 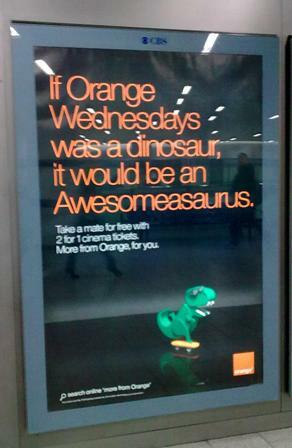 I had the same reaction when I saw the Orange awesomeasaurus billboard. I’d had a testing tube journey to work, go into a rammed lift, and on the wall across was this eye-catching billboard which instantly made me smile. Job done!